I have had an issue with rose withdrawals on my previous search so many of the fragrances in this post deal with roses as the primary note. 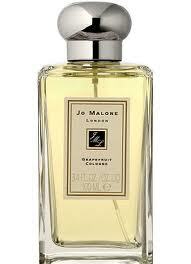 I also have been extensively exploring the world of Jo Malone with miniature samples that are magnificent for testing. When I was a little girl for Mother’s Day I would go into our garden and make a ‘perfume’ for my mother out of red rose petals. I would pick the petals, steep them in water for a week (!) take the petals out and decant the sacred elixir into a Tupperware flask. My poor mother, not having the heart to tell me she would try it out later, always dutifully wore the perfume on her special day (what a champ!) Even as a little girl I knew the ‘perfume’ I made wasn’t up to par. I wanted to capture the essence of the red rose and bottle its perfection. 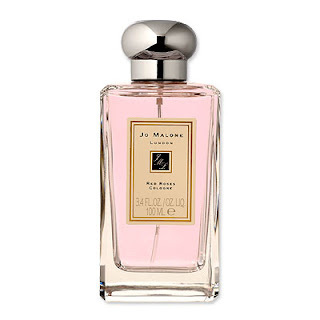 So when I recently tried Jo Malone’s Red Roses I smiled with nostalgia and thought, “Ah, that is the scent I was trying to capture so many years ago!” Jo Malone’s Red Roses is a powerful and evocative scent- but is only for those who seriously love roses. This cologne does not have the hint of red roses- this perfume is a red rose. A big, luscious, heady red rose that was probably picked in your garden. The sort of rose that you pause everything you’re doing to take in its aroma. Red Roses claims to have other notes such as violet, lemon and spearmint, but those are completely lost on me. And I don’t mind. This may sound bizarre but one of the best ways I can describe it is as a ‘stinking rose’ (and I mean that in the most pleasant of ways). Try it out and you will see what I mean. It probably isn't everyone's cup of tea but is definitely a contender for my signature scent. Delightful on so many levels. 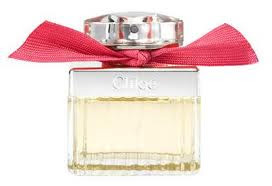 Chloé’s Rose Edition (Also called Chloé Rosebud) is a sensuous and fluid perfume- even more likeable than Stella on first sniff. Along with my beloved rose note, other notes in this sweet, feminine scent include pink peony, lychee, freesia, cedarwood, amber and honey. 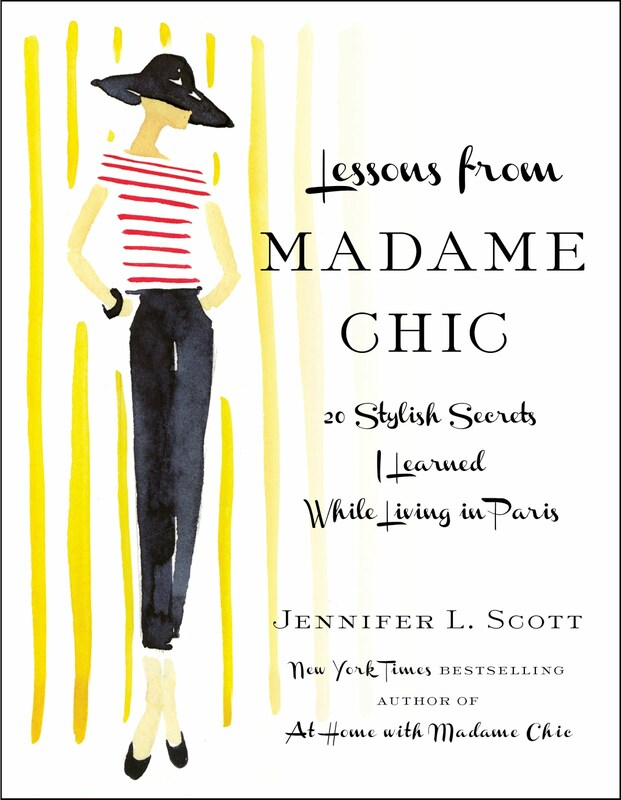 It is described as being “chic, comfortable and addictive”- three very apt adjectives in my opinion. 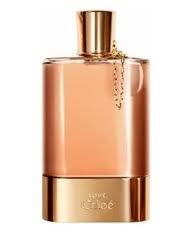 I will admit I was so enthusiastic about it that when I first sampled Chloé Rose Edition I declared my search to be over! But the sales lady informed me that this is a limited edition and therefore might not come back. So I thought I better not get carried away with myself and continue my search. Rather unfair, however, to put out such an ‘addictive’ fragrance and only offer it for a limited time, non? 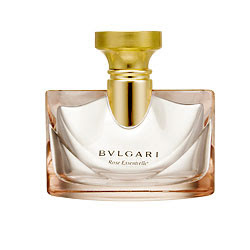 I have heard a lot about Bvlgari’s Rose Essentielle and after trying Chloé’s Rose Edition thought I might not find a rose fragrance that I liked as much (I’ve tried Dolce & Gabbana’s Rose The One and it didn’t quite go with my skin chemistry). But I tried it just the same (Becky who reads The Daily Connoisseur also recommended it in the comment section of the last perfume post)… and I am so glad that I did. Rose Essentielle starts off as a spicy, exotic rose and then melts into a beautiful incense rose (due to the patchouli note perhaps?) This is a fragrance that transports you. I am immediately taken to a salon in Morocco- sipping tea in the hot afternoon while the scent of exotic roses wafts in with the warm summer breeze. It is a beautiful, feminine, smoky, intoxicating, luxurious rose. Not overpowering, perfect for day. Notes: rose prelude, blackberry, feuille de violette, living mimosa, jasminum sambac, patchouli, bois de gaiac. Suffice to say this is a major contender (perhaps front runner) for my signature scent. Be sure to check out this week's video where I introduce you to my darling dog, Gatsby. You can see the video by clicking here, looking in the side bar of this blog or by visiting www.youtube.com/TheDailyConnoisseur. 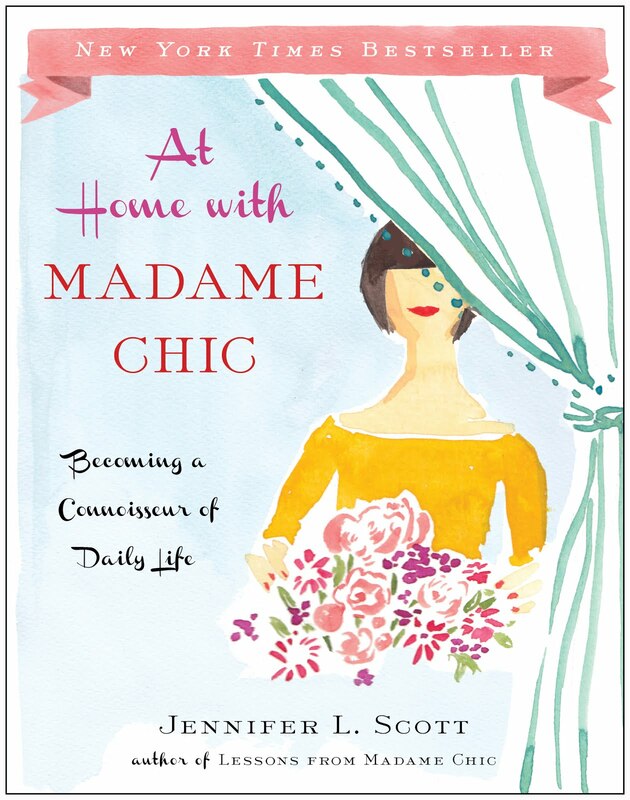 The Daily Connoisseur is now available on Amazon Kindle. Before this special Thursday post begins make sure to check out my latest video on A New Dress for my Capsule Wardrobe. In the video I describe the thought process I use before purchasing anything to add to my capsule wardrobe. You can see the video by clicking here, looking in the sidebar of this post or by visiting: www.youtube.com/TheDailyConnoisseur. Today I am sharing with you a trio of discoveries that recently came across my desk… so to speak. While in The Continental Shop in Santa Monica recently (to buy Royal wedding paraphernalia) I asked the proprietors if they had any good British DVDs to recommend to me. I told them how much I love Poirot and any English story set in the art deco period. They readily offered me advice on several series… the first of which was Mapp & Lucia. 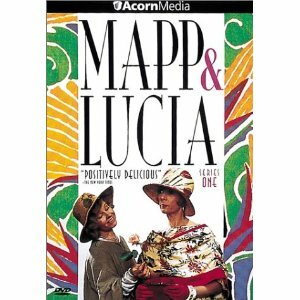 I can’t tell you how happy I am I asked for their advice because I rented the Mapp & Lucia disc on Netflix (to see if I liked them) and have found the series to be such a little gem! 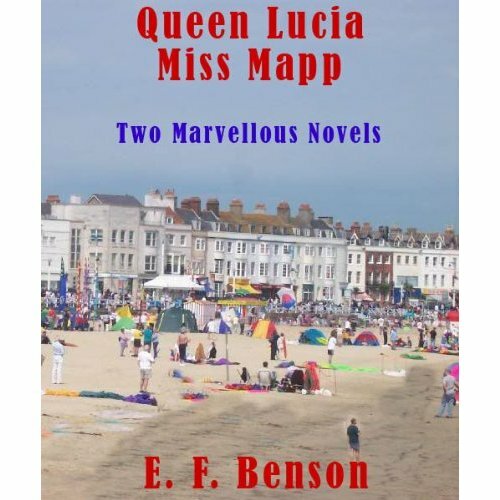 The Mapp & Lucia series is from the mid 1980s and stars Geraldine McEwan (recently known as Miss Marple) and Prunella Scales (from Fawlty Towers fame) as two middle aged ladies who reside in the fictional town of Tilling on Sea in the late 20s and 30s. It is a comedy of manners, of social climbing and of cattiness, but one with tremendous heart. Also the heroine Lucia, played by McEwan, is a woman after my own heart as she lives life as a formal affair, plays the piano and is an obsessive patron of the arts. I loved the DVDs so much I plan on returning to The Continental Shop and purchasing the collection for my library. They really don’t make television like that any more! Because I loved the DVDs so much you know I just had to read the books. 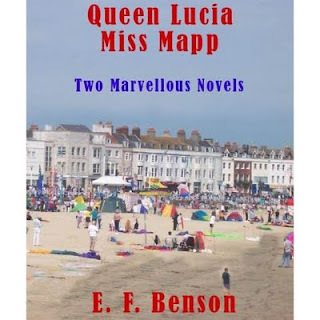 The Mapp & Lucia series is based on the books by E.F. Benson. I started to search for the books on the kindle and was delighted to find that they are either offered for free or for a very low price (another reason to love my beloved kindle). The story of Lucia actually starts long before she moves to Tilling on Sea and meets Elizabeth Mapp. Some of the earlier books are called Queen Lucia and Lucia in London where we are introduced to Lucia’s life in Riseholme with her trusty sidekick Georgie as they battle various adventures. Some involving a mysterious guru, an operatic newcomer and a prophetic princess. I’m so happy to have discovered E.F. Benson’s books as I’m always looking for new authors’ works to devour from that particular time period in England. Delightful. Etiquette has been on my mind a lot recently. 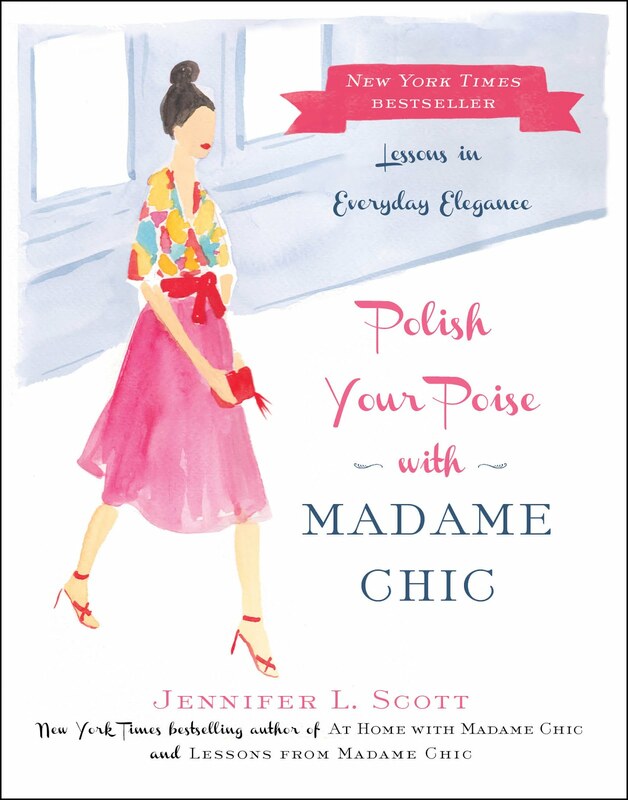 As you know if you’ve seen my YouTube video on Great Etiquette Books, etiquette is a favorite topic of mine. The reason I felt compelled to do the video (and I hope, many more on the subject) was because that morning when I did my routine walk with Gatsby and the baby, a man who was also walking down the sidewalk belched quite loudly, then looked at me and winked. I wanted to say back to him “A simple good morning would have sufficed!” but alas it was too early and I wasn’t thinking on my toes yet. So instead I just stood there frozen with shock. It seems etiquette is a topic on a lot of people’s minds lately, not just mine. Why just this week a woman was ejected off an Amtrak train for speaking loudly on her cell phone in a ‘quiet car’ for a 16 hour journey. I could not help but feel a little justice was served after reading that article. You all remember my first trip to the manicurist after having the baby. I was so looking forward to relaxing during the spa treatment but instead became privy to the lady next to me who was speaking loudly on her cell phone, revealing all of the gory details about her titillating life. People are starting to get vocal about it too. Just yesterday I talked to my cousin, who lives in New York, on the phone. While we were talking a man interrupted her conversation and asked her to get off the phone. “Where are you?” I asked her. “I’m on the elliptical at the gym!” she laughed. I had had no idea. I felt slightly guilty being an accomplice to this cell phone faux pas. Oops! Yes, cell phone etiquette – namely not speaking on the thing in inappropriate public places- is a prevalent issue now. Recently I popped into a new tearoom in Santa Monica called Funnel Mill Rare Coffee and Tea that had a strict no cell phone policy. What a quiet little haven it was! People working on their laptops and speaking in soft tones while classical music was playing. It was so nice to enjoy my cup of tea in silence, read my kindle and not have to listen to a man next to me complain about the price of his self storage unit and his broken muffler. It is all very good that we regulate our own cell phone etiquette, but how do you tell a good friend that they have a problem? A few years ago I took a friend of mine (who shall remain nameless) to tea in the Tudor House Tea Rooms to celebrate her birthday. She put her blackberry on the table and it kept ringing (loudly) several times throughout our tea together. Occasionally she would answer it. I was so stunned by it all I couldn’t even call her out on it (she is an old friend of mine so it would have been quite all right if I did so). I still haven’t brought it up with her but suffice to say- I won’t be taking her to tea any time soon! So there you have it. I would love to know… what is your stance on cell phone etiquette? The gold wreath pictured above is Greek and dates back from 300- 100 B.C. The leaves are modeled off of the laurel tree, also known as Apollo's sacred tree. It can be found at the Getty Villa in Malibu. I have to admit, I am finding ‘looking presentable always’ a bit of a challenge now that I have a 10 month old baby. As my precious baby grows, so do her needs and I have less time in the morning to get ready. But never one to give up, I have simply modified what ‘looking presentable always’ means for me. As I have mentioned before, looking presentable does not mean, looking perfect, nor does it mean looking ‘high maintenance’. It simply means looking the best you can in your given circumstances. 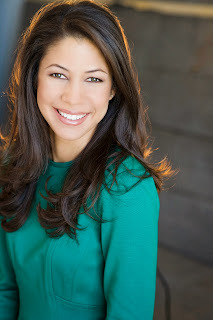 Good grooming, great wardrobe choices, and a positive smile will get you very far in a day. I am writing this at night and earlier in the day I had an experience that reminded me exactly why I advocate looking presentable always. This morning was particularly busy. I spent a long time making baby food, cleaning the kitchen, feeding my daughter, taking the dog out, working on my book and finally putting the baby down for her first nap. By the time this was all over It was nearly noon and I hadn’t gotten ready yet for the day. I showered and dressed quickly. I picked an outfit out of my capsule wardrobe- black skinny jeans paired with a lavender sweater and ballet flats. I put my hair back in a quick ponytail. The only makeup I had time for was under eye concealer, tinted moisturizer and lip balm. This is what I mean by looking the best you can in your given circumstances. That was about all I could muster today. After the baby woke up and we had lunch I took her and Gatsby on a long walk. We walked down to the independent cinema to see what movies were showing (not that we were going to go in, I just like to see what’s playing for future reference). On the way back we passed by a preschool that I had heard a lot of great things about around town. Even though my baby is only 10 months old, in Santa Monica the preschools are quite competitive and parents submit applications when their children are still young babies. I lingered outside of the school and looked around. As I did so a woman was getting out of her car and asked if she could help me. I explained I’d heard so much about this preschool and was planning on submitting an application for my daughter. The woman was so kind, she offered to give me an impromptu tour of the school right then and there! So Gatsby, the baby and I went in and had a tour. I thanked the woman for her kindness in showing me around and then we were all on our way again. Walking home I was so grateful that I had put an effort into my appearance that day. I could easily have kitted up in sweats and flip flops and decided to take the day off from looking presentable. I bet if I had been shoddily dressed the woman wouldn’t have offered me a tour. The kind woman and I have since remained in contact and I plan on submitting an application for my daughter very soon. What a great reminder for looking presentable always- you never know where your day will take you! I would love to know… what is your status on looking presentable always? Jewelry and ornaments from Ancient Greece and Rome are pictured above. 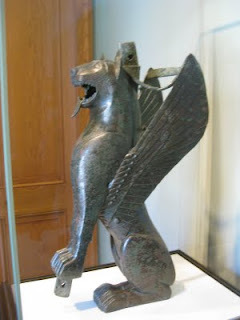 They can be found at the Getty Villa in Malibu, California. This post comes by request from MikaCake, who asks for advice on how to deal with stress. How we deal with stress is incredibly important. The whole principle behind this blog is how to live well. It is what I have devoted my life to researching and it is something I am passionate about. I honestly do not believe you can live well if you suffer from stress. The Most Essential Classical Music for your Baby. Don't laugh. This album is beyond spectacular and not just for babies. In fact, I don't even know why they say this is for babies. This has a wide selection of beautiful songs in excellent arrangements. It is a tremendous value as it has 49 songs for only $9.99 What a collection! Suffice to say my baby loves it and so do I. Tails of the City by The San Fransisco Saxophone Quartet I know what you're thinking... a saxophone quartet? This album is so refreshing and melodious. Who knew that four saxophones could create such stirring renditions of the classics. Have this playing at a dinner party and your guests will be perplexed- in a good way. The Match Point Soundtrack Woody Allen's Match Point is one of my favorite films of the last decade and the soundtrack is stellar. If you are not already an opera lover you will be after listening to this incredible compilation of music. Yo-Yo Ma's La Voix du Violoncelle This is an unusual album- very beautiful and haunting. Yo-Yo Ma is a revelation. Mine is the piano. Yours could be the violin or the guitar. I even have a friend that plays the harp. Playing a musical instrument is incredibly beneficial for stress. If you don’t already know one, learn one. Many of us played instruments as children, why not pick it up again as an adult? I often find myself sitting down at the piano for Sherlock Holmesian sessions where I go through my (small) repertoire of music. It de-stresses me every time and places my mind in a tranquil state. I try to play a little every day. When you sit down at an instrument the sheer task of focusing and creating music is enough to keep the most stubborn of stresses at bay. I adore this quote- and it’s so true! Make your tea or coffee break tranquil and special to manage stress levels. Seek out specialty teas and coffees to appease your palate when you are feeling overwhelmed. Create a daily ritual where you sit quietly, use your best china or a special mug (I’m loving my commemorative Royal Wedding bone china tanker at the moment- yes I have it and I’m not embarrassed to admit it!). Put away your blackberry- turn off the TV or move away from your computer. Sit with a book or the weekend newspaper you didn’t get to read yet or if your mind really feels on overdrive don’t read at all- Sit in your favorite chair or by the window with the best view, just focus on your steaming cup and tune your mind to happy repose. I used to rush around- it didn’t matter where I was going- I was in a rush! One day I found myself in the grocery store, quickly dropping items in my cart, then stressed out that the line to pay wasn’t moving fast enough. Luckily I caught myself. What was I so stressed out for? Where was I rushing off to? It was almost as if the mere act of picking out groceries wasn’t worth my time so I was in a hurry to move on to some future project- some better thing. I had to remind myself in that moment that the only time is now. Now I try , no matter what I’m doing, to do it mindfully- to move slowly and with purpose. Eliminating the false pretense that whatever the future holds is better than what you are currently doing is a powerful way to eliminate stress. These are the techniques I most frequently employ to deal with day to day stress. I would love to know… what are yours? The Winged Feline pictured above is in Bronze and dates back to 700 - 575 B.C., Spain. She can be found at the Getty Villa in Malibu. The skin around my eyes is very sensitive. I can’t tell you how many products (eye creams, eye makeup removers, even makeup) have caused irritation to the delicate area around my eyes. So the last time I visited Petite Spa in Santa Monica (where I get my facials) I picked up Éminence Organic Eye Makeup Remover on a whim, hoping it would be suitable for my sensitive eyelids. I liked that it was organic (I am leaning more and more towards only using organic skincare) and thought it might be gentle. I was right. This eye makeup remover is really wonderful. It does take a few more (gentle) swipes of the cotton pad to get everything off but it does not employ any foreign chemicals or emulsions that would cause irritation. And in addition, it is not drying. I also like the way the product pumps from the top- giving it a vintage cosmetics feel. I purchased mine locally at Petite Spa. You can purchase it through Petite Spa (www.petitespa.net) or visit www.eminenceorganics.com to find a list of stockists near you. It costs $23 for 5.07oz, but with the efficient product distribution allowing for no waste, the product will last you a long time. Highly recommended for those with sensitive eyes. One word of caution, however. I used this on my lips twice to remove my red lipstick and it dried out my lips. I figured if it was gentle enough for the eye area it would also be gentle for the lips but not so! I am probably the only crazy that would think to use eye makeup remover on my lips but I thought I’d caution you against it anyway! I was recently contacted by the people from Arbordoun asking if I wanted to try their organic, all natural calendula cream that touted pharmaceutical effects for review on this blog. I did some research into the company and found that they are a small business that has been operating for 25 years on Lopez Island off of Washington State. 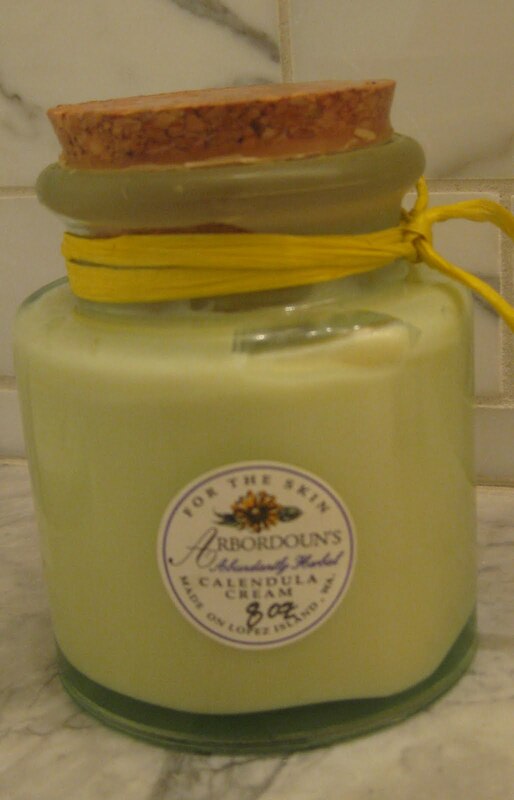 Run by an all female staff, they are environmentally friendly and only make two high quality products: their Abundantly Herbal Calendula Cream and Silky Day Lotion- both products which are hand poured and consist of entirely natural, organic ingredients. I was intrigued. They sent over a sample of the Calendula cream and I tried it the next day. I will cut to the chase by telling you that I found their Calendula cream to be one of the nicest body creams I have ever tried. I have very dry, sensitive skin that is prone to eczema (especially on my legs) and just a few applications of the calendula cream soothed and calmed my irritated legs. Not only does it have pharmaceutical effects but it is also quite luxurious and adds a natural glimmer to the skin when applied. Also pleasing was that I could pronounce every ingredient listed on the product and would even feel comfortable using it on my baby (in fact many testimonials on their website said it aided their babies in getting rid of diaper rash). While calendula is the main ingredient, other ingredients include: olive oil, beeswax, grape extract, purified water and lavender oil. The cream has a natural fragrance but not one that is imposing and that would interfere in anyway with the wearing of perfume. After my sample was finished I went back to using the drug store cream Eucerin that I have been in the habit of using on my skin and it just wasn’t the same. I started to become painfully aware of all of the unnatural ingredients in my drug store cream and longed for more calendula cream again. So I ordered my first 8oz bottle in the recycled Spanish glass jar (pictured above) and received it this week. Joy! On the same trip to Petite Spa where I discovered the Éminence Eye Makeup Remover, I also purchased the Epicuren CXc Vitamin C Complex. This purchase was not made on a whim, however, but was my main reason for going into the salon. My esthetician (and founder of Petite Spa), Lisa Lianna Mayer, had been recommending the Vitamin C Complex to me for over a year, but because of its price ($129 for 1.7 fl oz- ouch!) I had avoided getting it. But my skin had been feeling dull and dry lately and was also suffering from topical breakouts. I reminded myself that French women, while generally thrifty in other areas of their lives, are apt to purchase expensive skincare treatments, if they feel they will work. And much like with the Clarisonic (which I waited a year to purchase too) I decided to bite the bullet and try it (although I’m not going to lie, it did hurt to hand over the money). Thankfully it was money well spent. I’ve been applying the Vitamin C Complex on my skin twice a day now for the past two months after cleansing and before moisturizer and I have to say my skin is looking the best it ever has looked! I haven’t had a break out in two months and there is a color and vitality to my skin. The cream neutralizes free radicals, reduces the effects of aging and boosts radiance. I can’t put my finger on the exact benefits that it has brought to my skin (other than the fact that I’ve had no breakouts since I started using it) but I know that overall my skin is more radiant and is looking the best it has in ages. I will submit an update when I run out to let you know how long mine lasted, but until then, it is worth researching. Epicuren Vitamin C Complex is available at Petite Spa, www.petitespa.net or visit www.epicuren.com for a stockist near you. Please note I purchased all of the above reviewed products for myself (although the Calendula Cream was originally sent to me as a sample). I would love to know… what are your recent skincare loves?